$19.00 for $60.00 - 4 admissions into Brainy Actz Laser Maze Challenge! 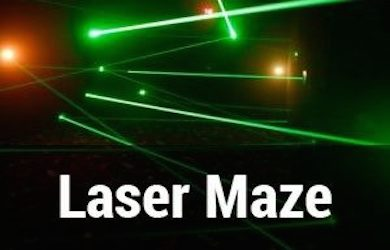 $38.00 for $90.00 - 6 admissions into Brainy Actz Laser Maze Challenge! $55.00 for $145.00 - 9 admissions into Brainy Actz Laser Maze Challenge! $70.00 for $180.00 - 12 admissions into Brainy Actz Laser Maze Challenge! BRING OUT YOUR INNER SPY!!! Race against your family and friends but – be careful not to get hit or else you’ll have to start all over again! Check out brainy Actz's Amazing Reviews on Yelp! Limit 1 Voucher Per Member Per Visit. Not to be Combined with any other Offer!